Strengths: Luke Kennard is a pure scorer, which translates to any level of basketball. He is an outstanding jump shooter and has the potential to be one of the best shooters in the NBA the second he steps on the court. But his scoring ability expands past just shooting. He is quick enough that he can create and knock down his own shot off the dribble, he can finish in the paint, and has a variety of ways to score in the midrange, including a fade away jumper and teardrop. 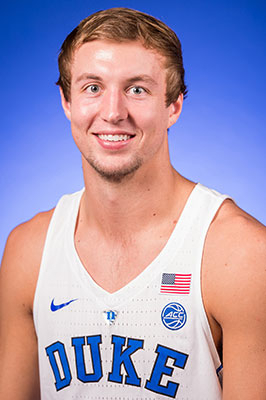 Kennard also has a very high basketball IQ, as he has a tremendous passing ability and knows when to shoot and when to pass. His IQ also makes up for his liabilities on the defensive end of the floor. Weaknesses: Kennard is not the most athletic or strongest player on the floor, which creates his liabilities on defensive. The shooting guard does not have the ability to guard premiere wing players in the NBA, and he is not quick enough to guard point guards one-on-one. His outstanding offensive ability and his work ethic to get better on defense will surely be appealing to a pro team though come draft time.